For many individuals living with hearing loss, speaking and listening on the phone can be frustrating. Caption Call is a revolutionary tool that uses voice recognition technology to display what callers are saying onto a large screen. It is the number one recommended captioned telephone service by audiologists. CaptionCall is free, and all you need to qualify is an audiologist-verified hearing loss, an internet connection, and a landline phone. Contact your audiologist for an application, and they will contact you to schedule a day and time for the installation. The installation is considered a "red carpet treatment." Representatives will make sure you have a clear understanding of how it works, and provide ongoing customer support. See the video below for more information on how this service is free. You would use the phone just as you would any other telephone. The only difference is the individual with hearing loss will be able to read what the caller is saying on a large and easy to read screen. Captioning agents are responsible for accurately transcribing the caller's voice for the display. This is also available through a mobile app for the iPad, which works just like it would on a landline telephone. All you need for the mobile version is a CaptionCall account, an Apple® iPad® 2 or later, and a Wi-Fi or cellular Internet connection. 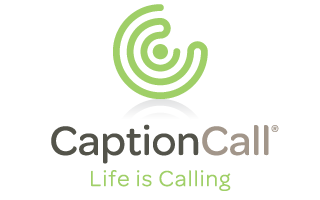 CaptionCall has been recognized as a major improvement to the lives of those that normally struggle to hear on the phone. The phone is very easy to get if you have a hearing loss. If you think this is right for you, contact your audiologist today.